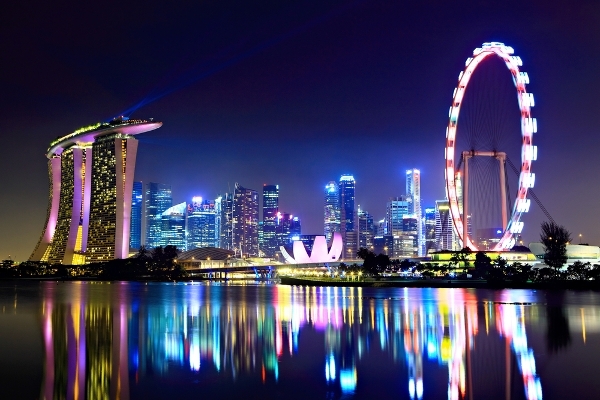 Visitor numbers to Singapore dipped in the first half of 2015. The shootout for the Singapore Tourism Board (STB) global account might be the biggest pitch the region has seen all year—and could be for years to come, too. But the client has insisted it will only hire a partner that is brave enough to stand its ground and challenge the status quo. Comwerks, DDB, Ogilvy & Mather, and TBWA are currently in the running for the combined creative, digital and production deal — MEC has already had its media contract extended — and STB assistant chief executive of the Marketing Group Lynette Pang conceded it was not an easy pitch. "I don’t think it is easy," she said, speaking to Campaign. "Marketing a country is different to marketing a chocolate brand, an ice cream or a car." But the only way the STB can make a "quantum leap" is to have partners who can challenge its paradigm, she added. "To be bold, sometimes you need to take a stand and maybe spar with your client a bit more," she said. "So we are really looking for someone to challenge us." While the pitch is tough, so is the reality that will face the winner. Though visitor numbers in Singapore soared by 70% from 2005 thorugh 2014, with revenues increasing by 112%, the past 18 months have proved tricky. For the first half of 2015, international visitor numbers dipped by 3% to 7.3 million, with tourism revenues declining by 12%. The area is, however, starting to see signs of growth from key markets such as China and India. These contributed to a 1% growth in leisure visitors in the six months to July, but business, meetings, conferences and exhibition numbers took a 12% hit. As Pang points out, the two have to be viewed hand in hand; leisure options strongly influence the locations where organizations stage conferences and exhibitions. In recent years STB — a statutory body under the Ministry of Trade and Industry — and its current partners JWT and Mirum (who declined to bid again for the business) have focused on a number of country-specific tourism campaigns in key markets, instead of pushing out one singular message. It’s a strategy Pang said is likely to continue. "We embarked on a shift to be more customer-centric with the 'Your Singapore' brand," she said. "We wanted it to be relevant to people in their own markets. I think it is important we do marketing that is clear about the brand, but it also has to be aware of the local needs, and these can vary quite widely from market to market." Pang understands the brief for marketing a country is challenging. "How do you tell a singular story and yet maintain the richness and diversity of this place?" she asked. "Singapore is an extremely complex destination … and a juxtaposition of many things. I think to only go in one direction is not going to do it credit." The first task for STB and its new creative partner will be to devise a broad strategy around its "marketing vision" to be "agile, bold and creative." Needless to say, all three are easier said than done. Rapidly changing customer needs and adapting to travelers making snap decisions means STB and its marketing have to be as fast as the consumer. However, so far the client has little experience in real-time marketing, and quick responses could well be hampered by approval processes and the need to assess the impact of instant campaigns on local sensitivities. Likewise, as Pang acknowledged, being "bold is tough." "We define this as veering away from convention," she said. "If you look at travel marketing, there is a certain way of doing it and sometimes it is indistinct. The challenge to us as a team is how to we break the category norms?" "Creative is not about being creative for the sake of it, it has to fulfill business objectives. Moving ahead we want to make sure we have work that can create an emotional connection with the audience. And we don’t only want to be creative through the content, but also the delivery of it." One key message that is likely to be weaved into all campaigns is the notion that Singapore provides good value for the money — not an easy feat when many of its neighbors offer less expensive destinations. It is also likely to give greater focus to "groundswell" community projects that showcase "hidden Singapore," alongside the showpiece attractions. "So our focus is to tell people we are great value for money with high-quality experiences," she added. While Pang is clear about what she wants STB to achieve through its advertising, she is more cagey when it comes to assessing where it stands today in terms of its marketing performance. When asked how much of a change was needed for STB to meet its marketing aspirations, she said: "It is going to be tough for me to give you a simple answer on a scale from one to 10, so we are not going to go there. That is a bit too simplistic. This is a destination that is constantly evolving. We never rest on our laurels. We always want to be better." These three factors will, however, be the yardstick by which by the four prospective partners will be judged. "Being agile, bold and creative is the yardstick by which we will pick a partner who can help us be faster and who can challenge us to be bolder," she added. "When we were looking to put this tender together we observed that the old world of creative agencies, and digital agencies and then production companies had changed," she said. "We don’t think that can work for us. That is why this is an integrated tender. We are not looking at digital as a channel. Digital is just one of the means to help us achieve our larger goals." A decision on the review is due in early 2016 — and then the real work will begin.